McDonald’s Australia has released a series of four short films in which everyday craft materials become the elements of fantasy worlds for children. In ‘Box of Fun’, a giant Happy Meals box becomes the inspiration for an instructional origami lesson. A pair of giant hands uses an outdoor basketball court as the setting for transforming paper into an origami monkey, kite and a dog. 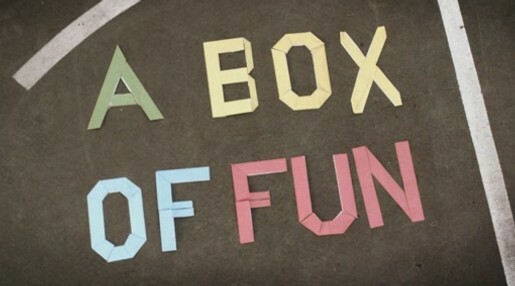 Box of Friends was developed for McDonald’s Australia at Leo Burnett, Sydney, by copywriter Peter Majarich, Kieran Antill, agency producer Rita Gagliardi. Filming was shot by Family via Independent Films. Editing was done at Guillotine. Music was composed by Elliott Wheeler via Nylon Studios, Sydney. Post production was done at Fuel.